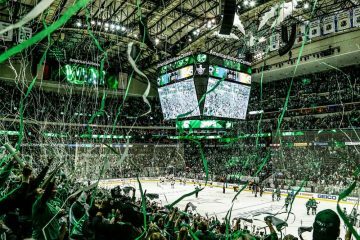 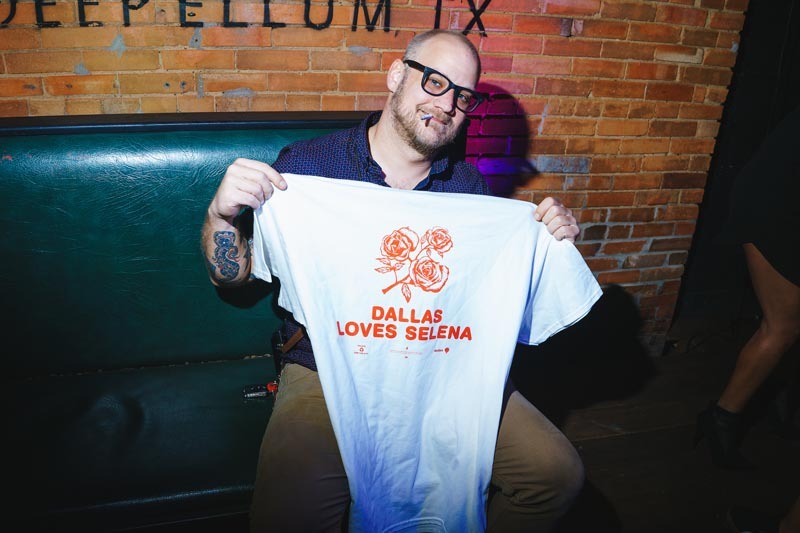 Dallas Went All Out For Selena This Weekend. 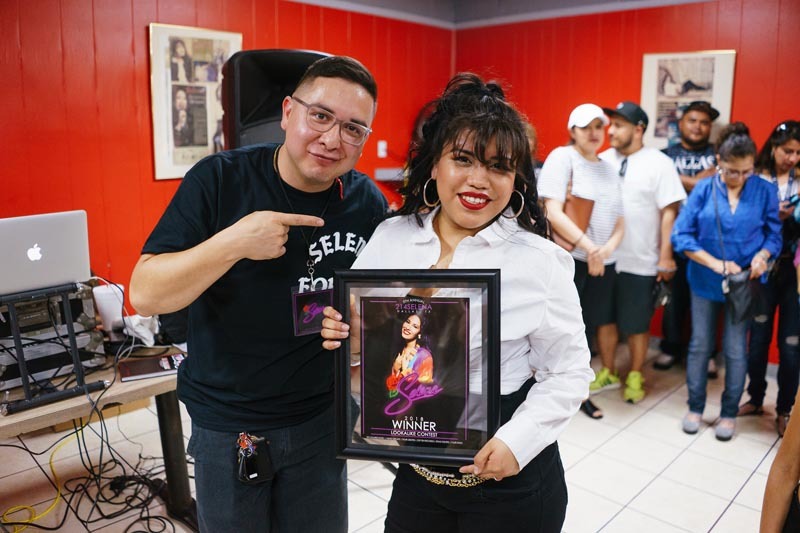 Twenty-Three Years After She Was Murdered In Corpus Christi, Dallas Celebrated The Life Of Tejano Icon Selena Quintanilla In A Big Way. 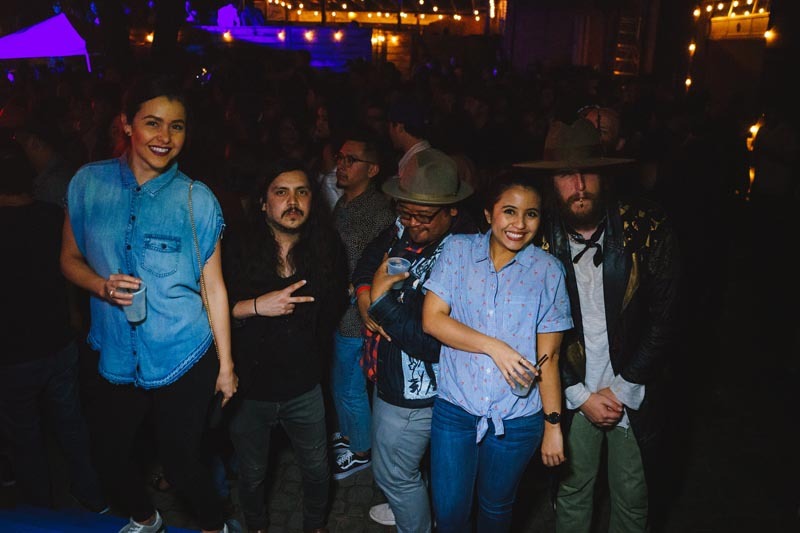 All photos and video by Karlo X. Ramos. 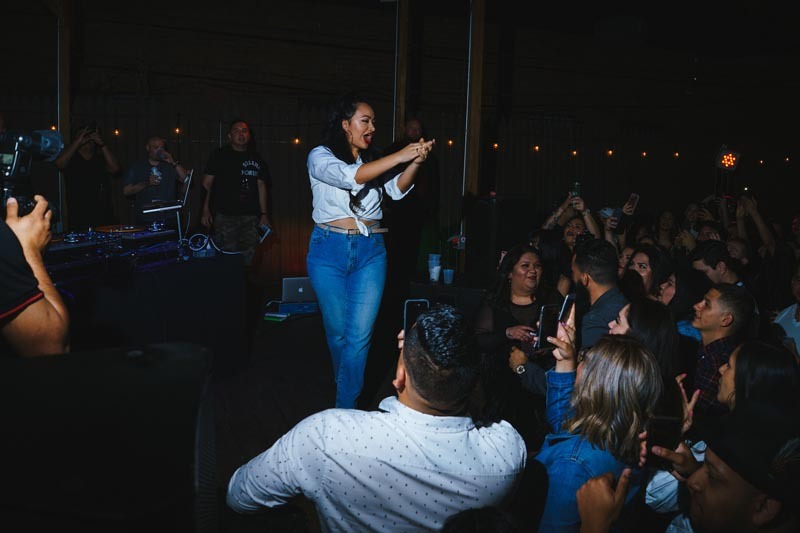 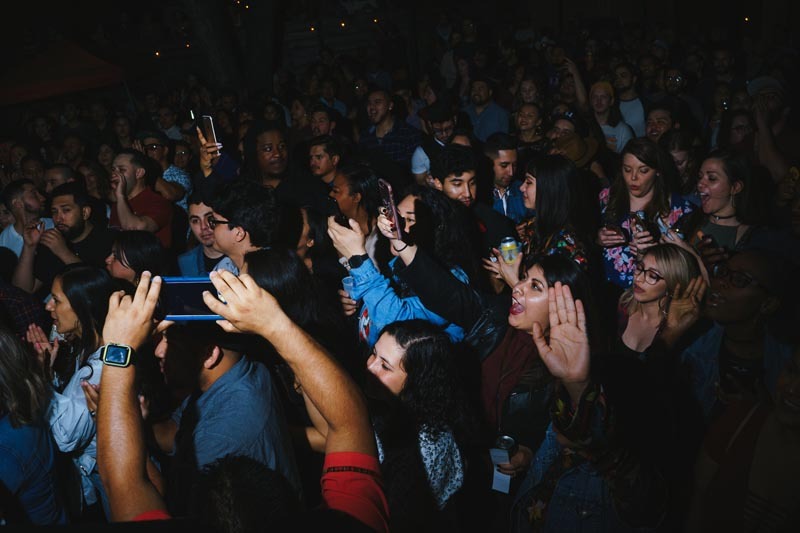 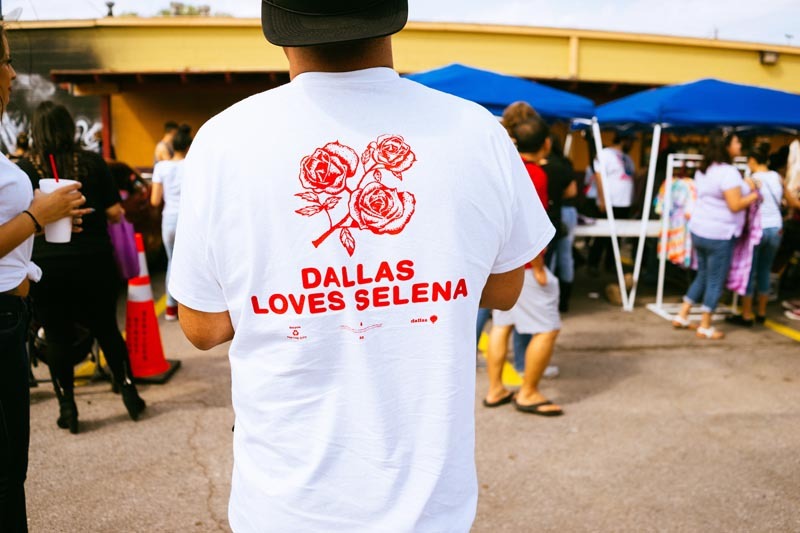 For the fifth year in a row, Dallas showed out to show its love for Selena Quintanilla. 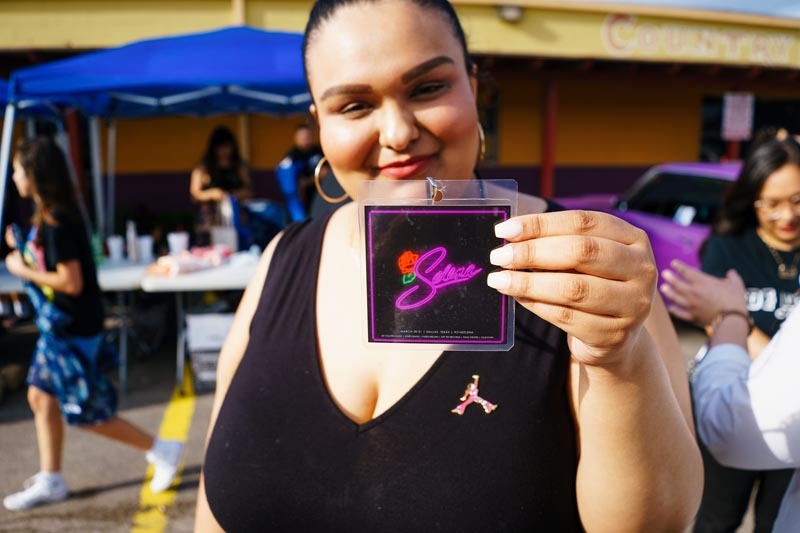 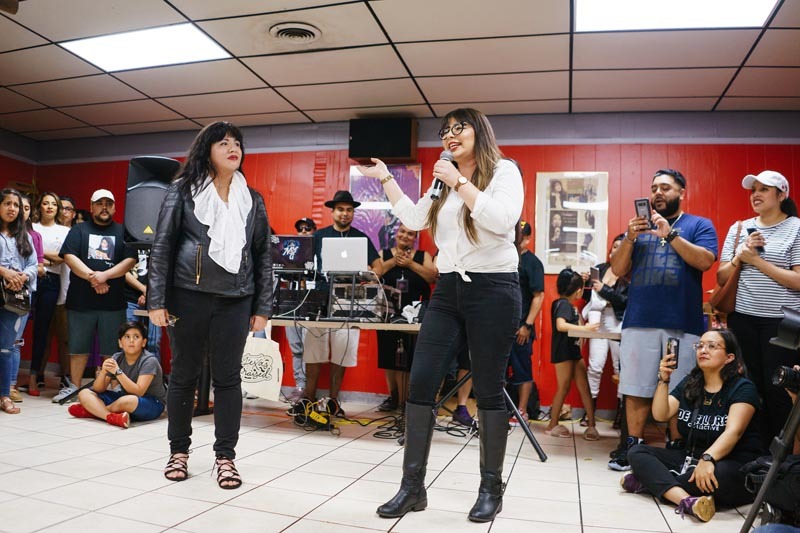 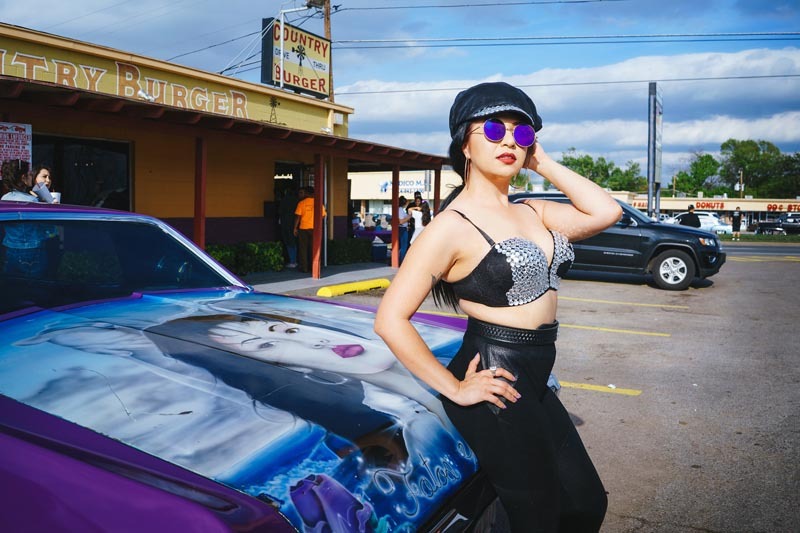 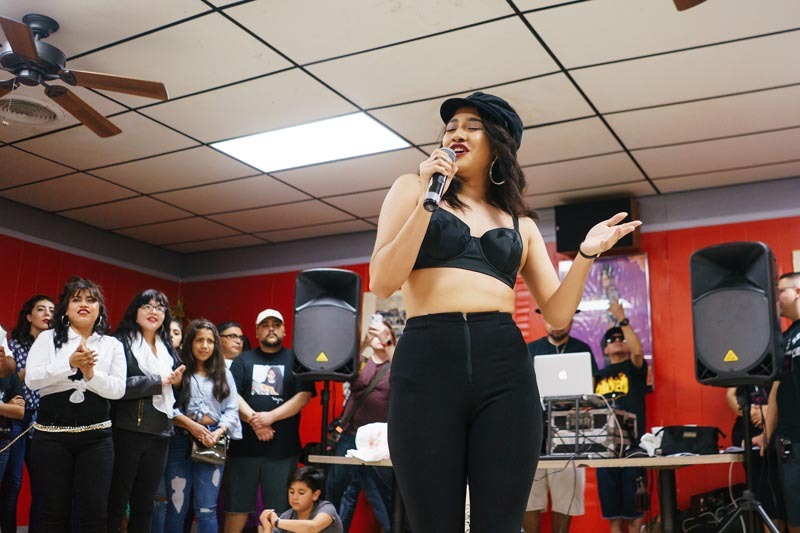 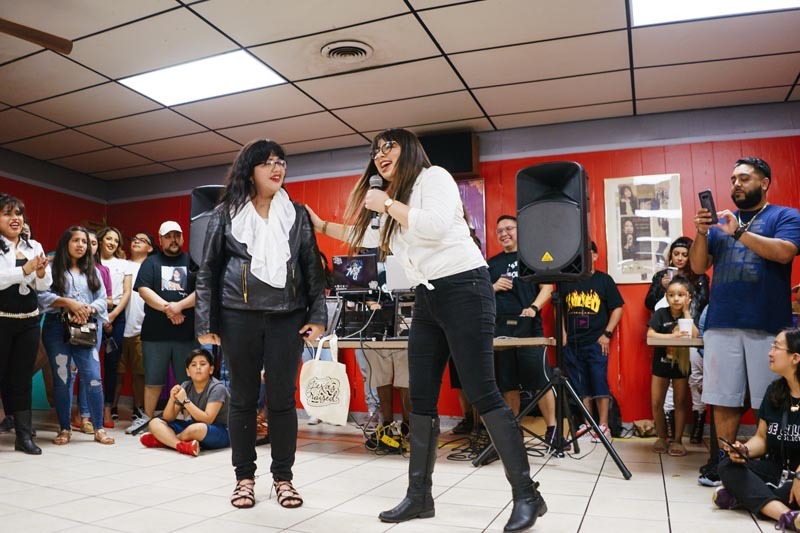 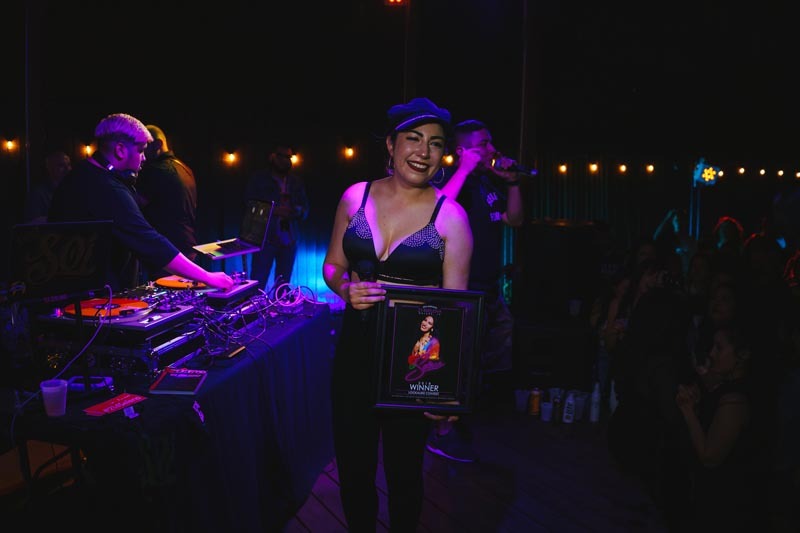 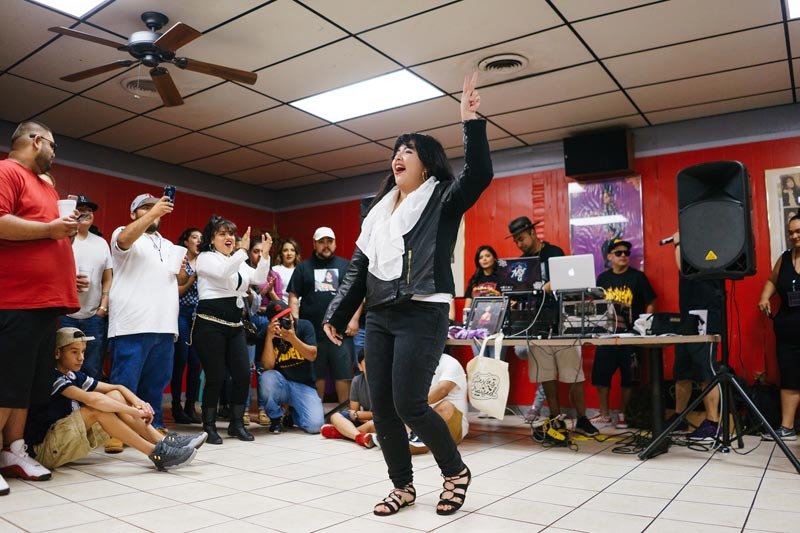 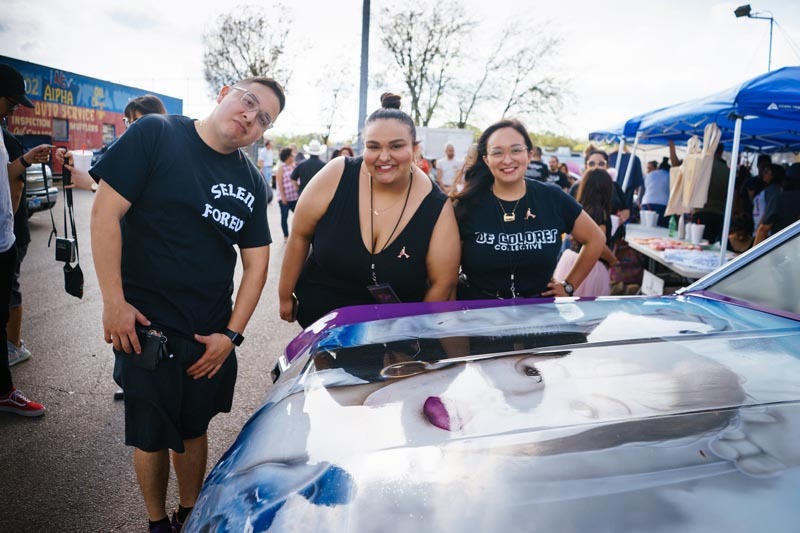 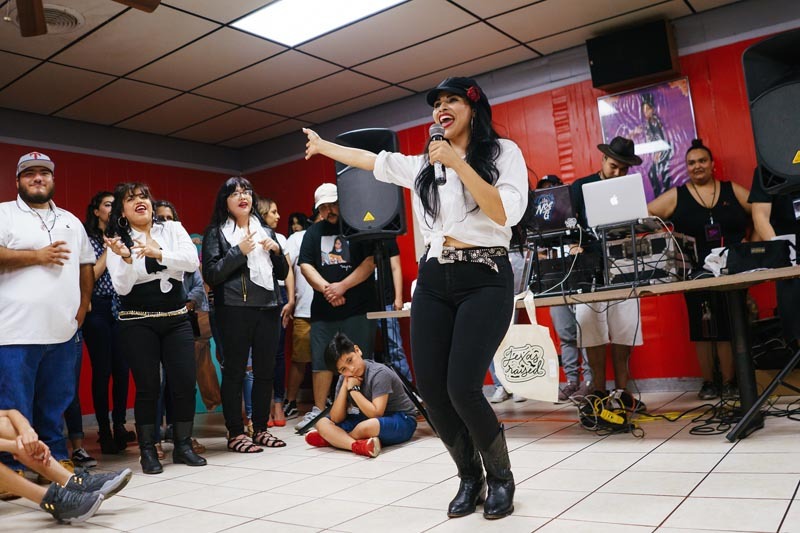 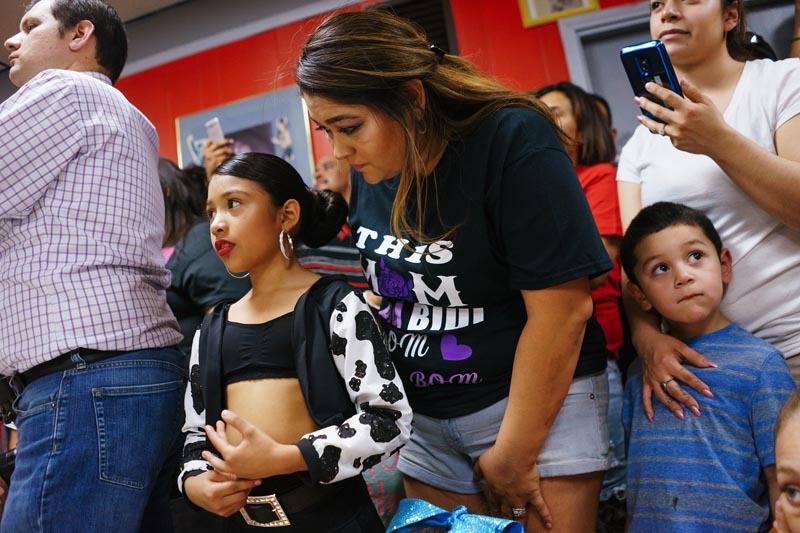 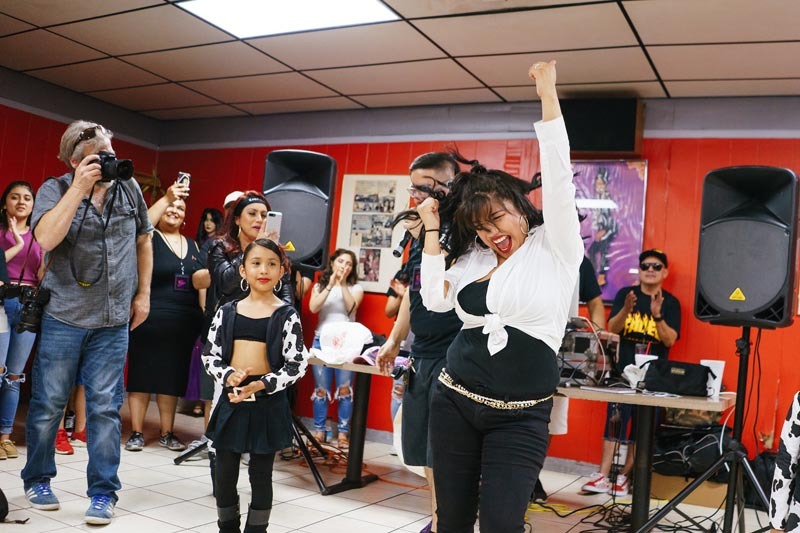 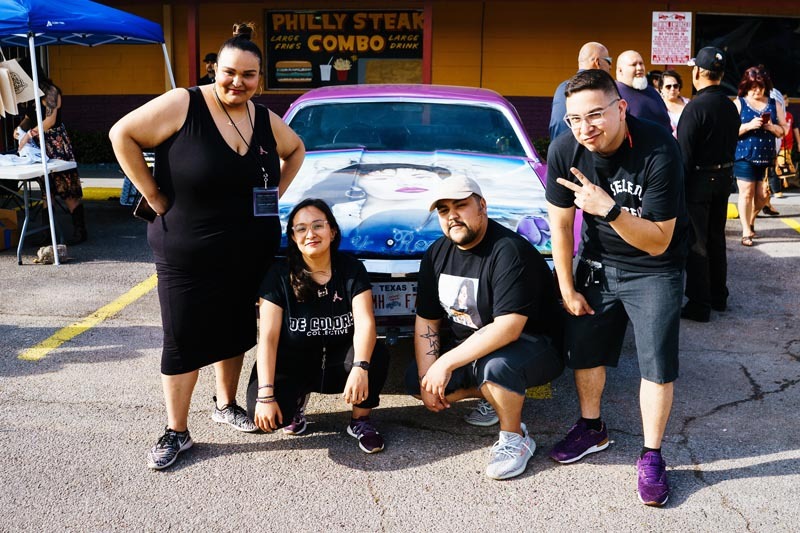 Under the “214 Selena” banner, a community that lost its beloved shining star 23 years ago gathered at various spots around Dallas this weekend to celebrate the life of the iconic Tejano music star’s life with a couple of parties and a new Selena mural unveiling. 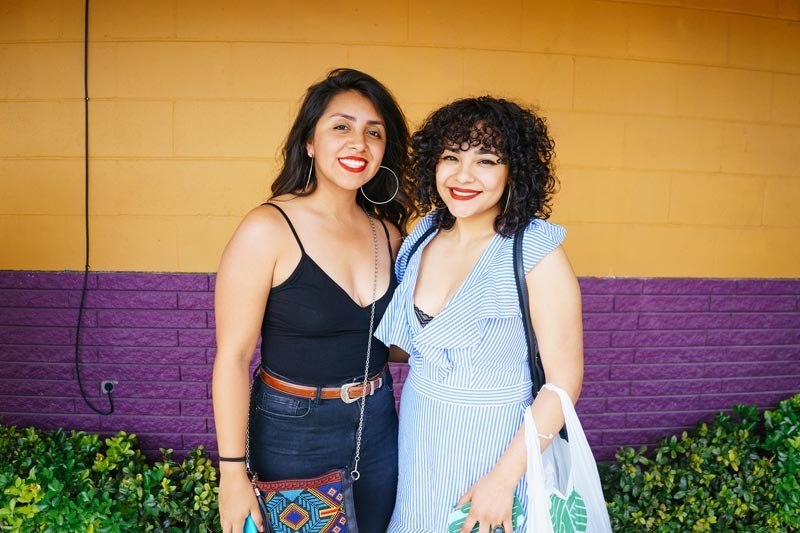 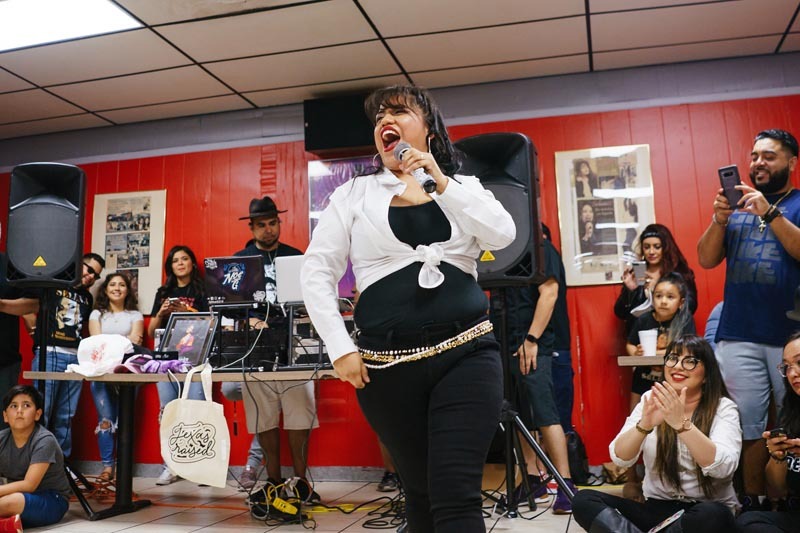 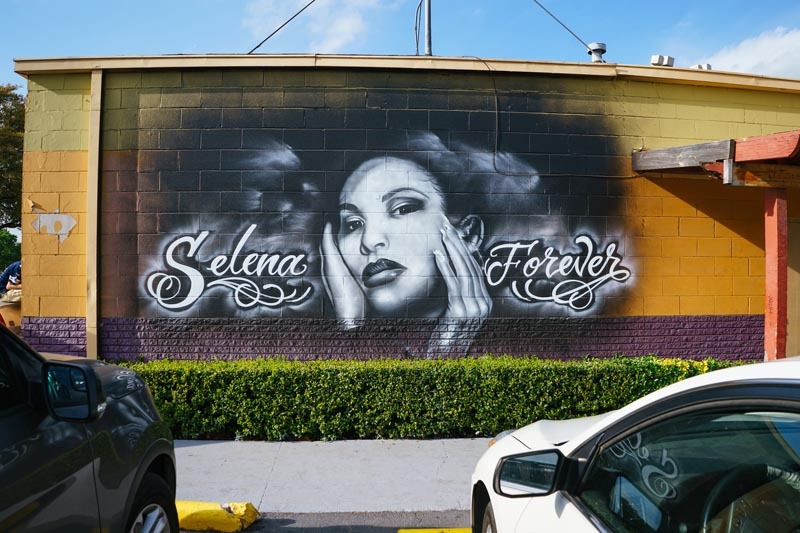 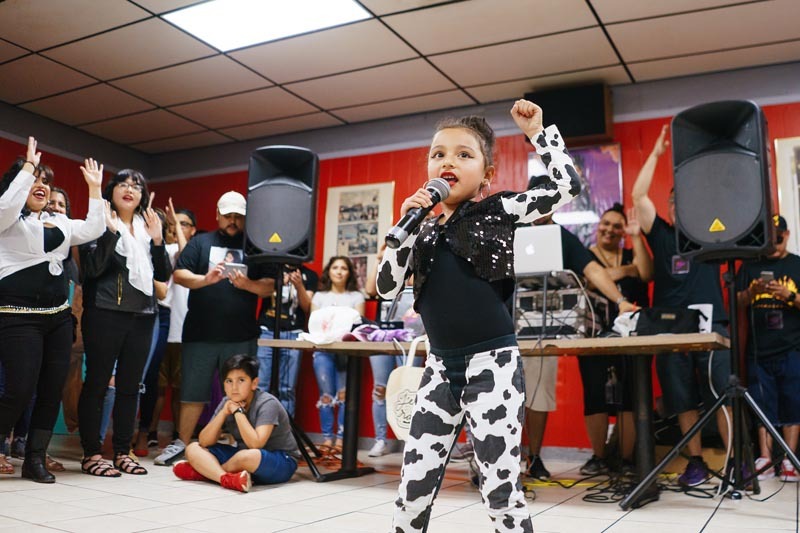 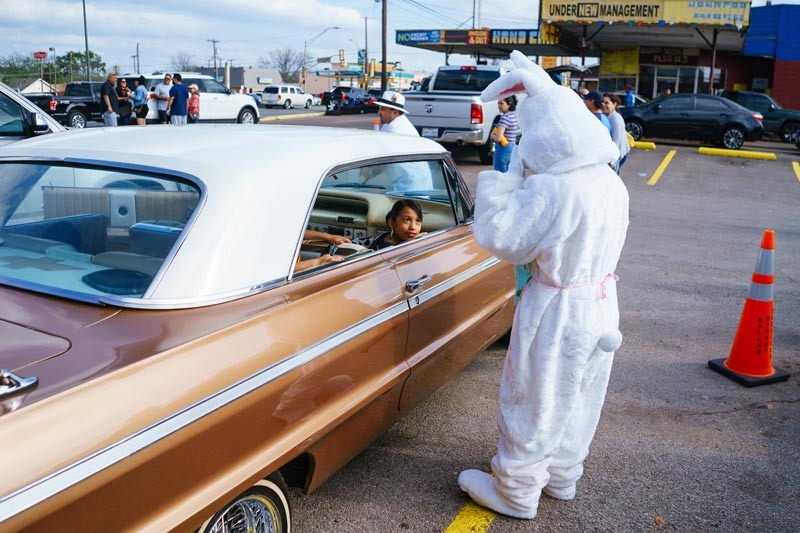 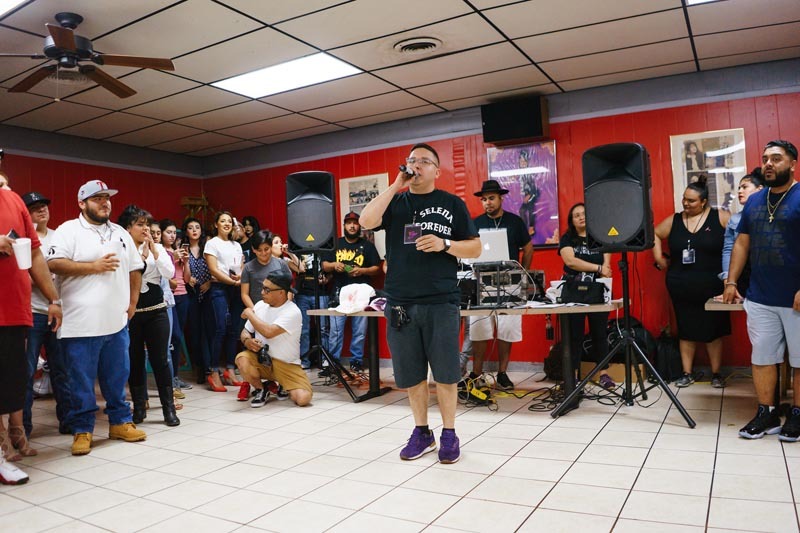 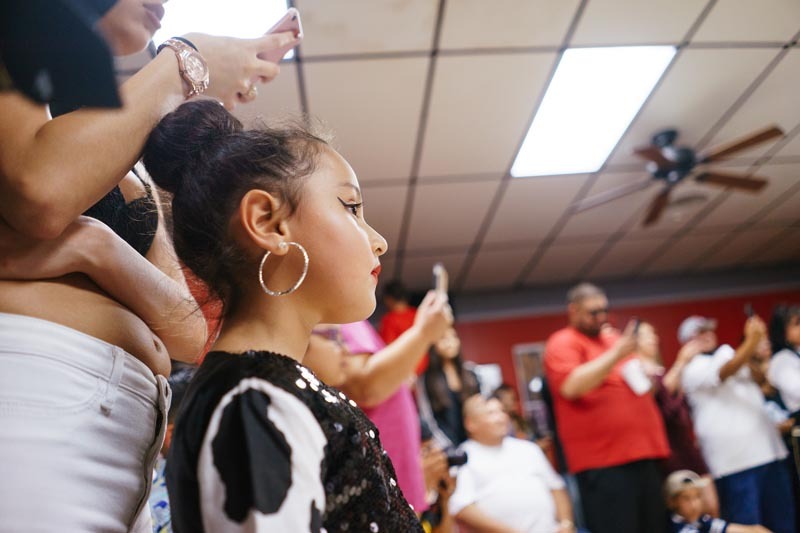 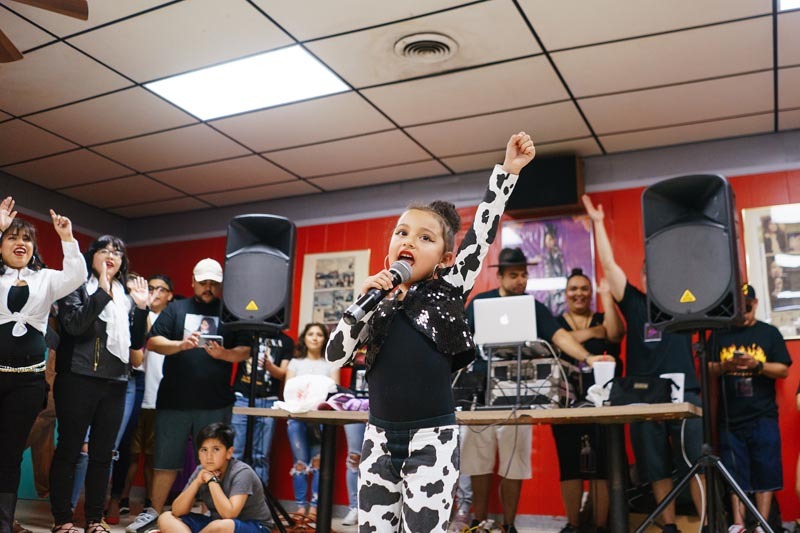 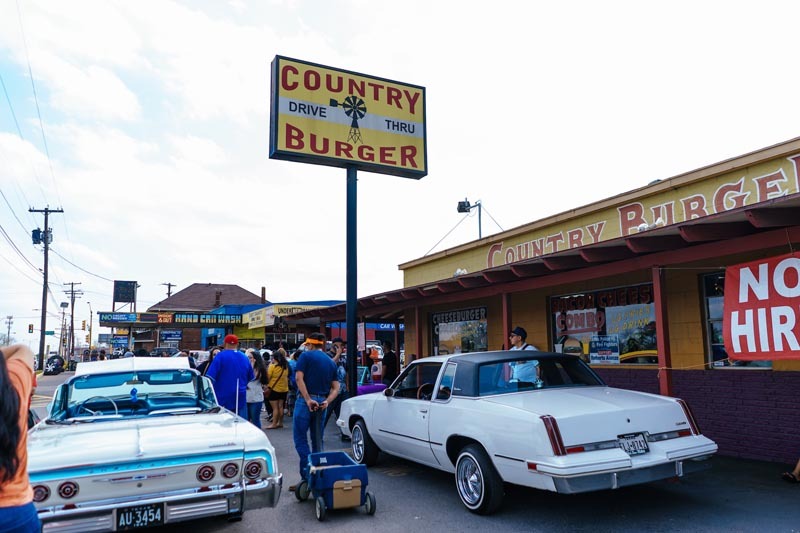 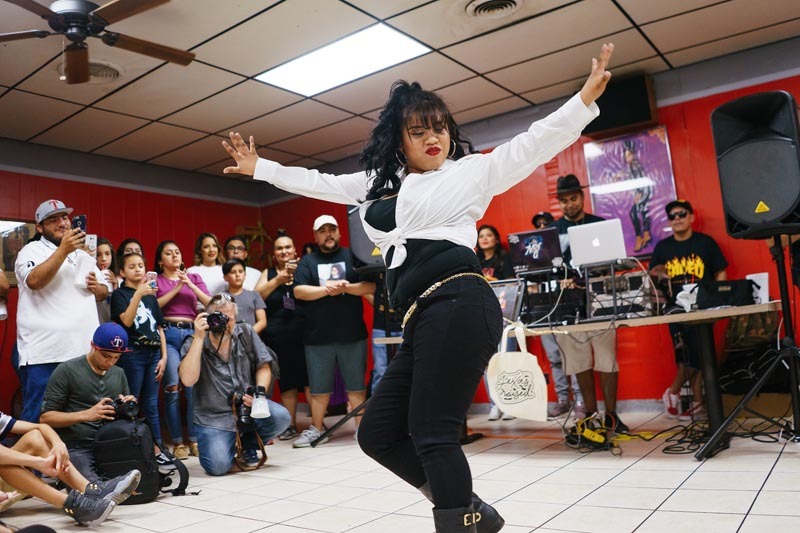 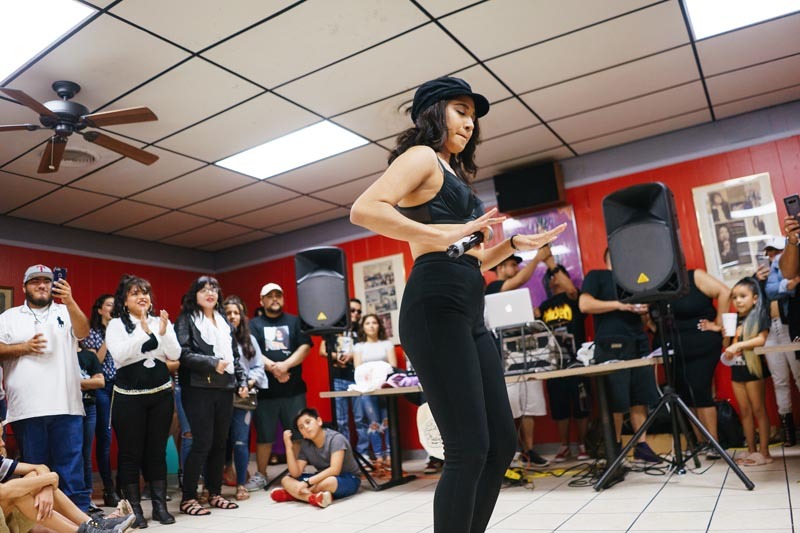 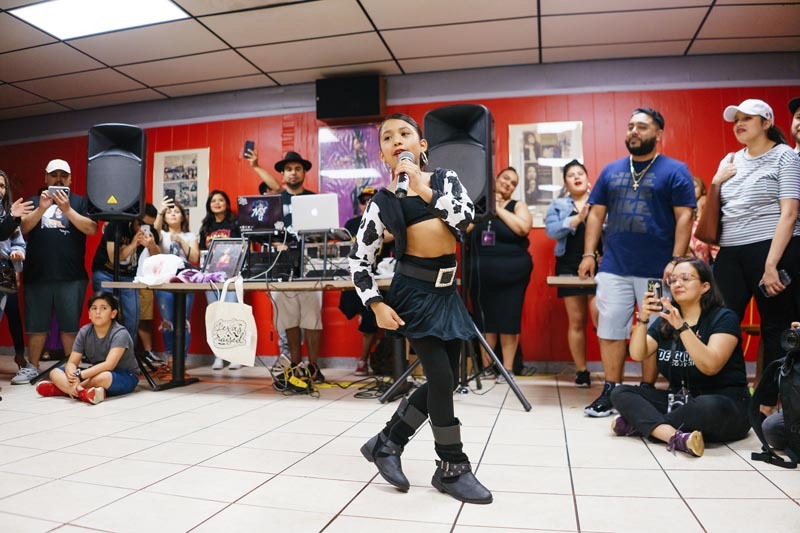 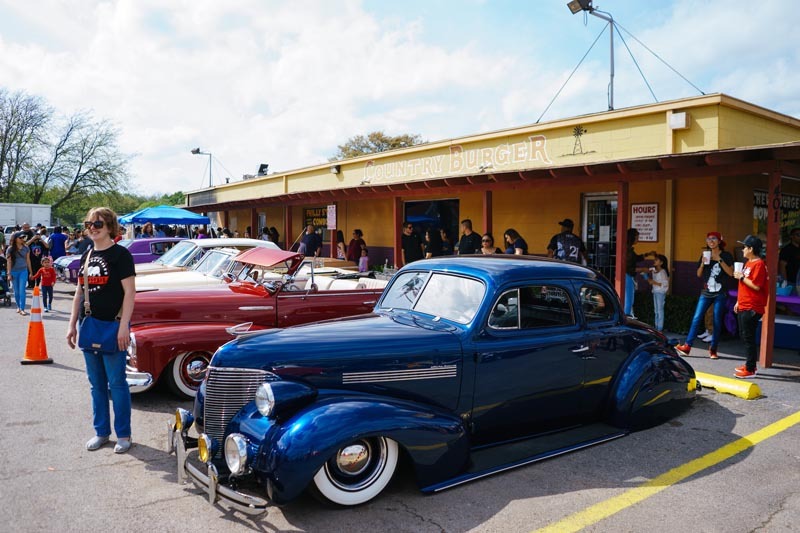 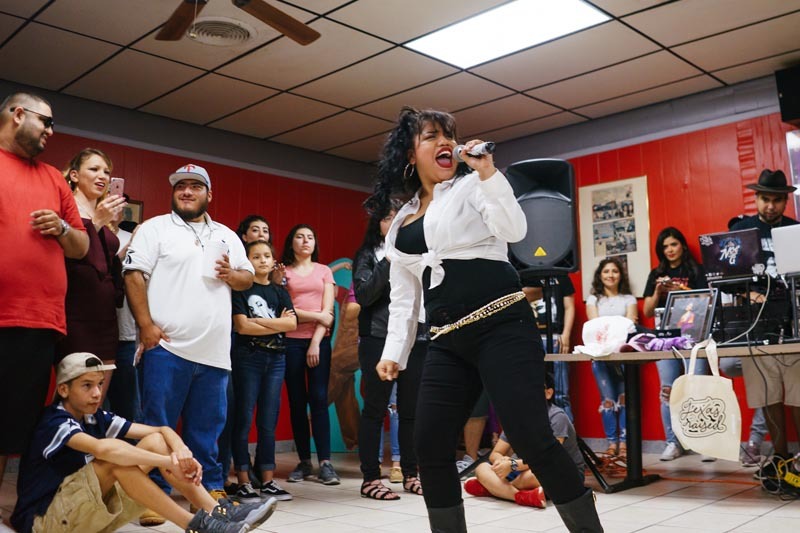 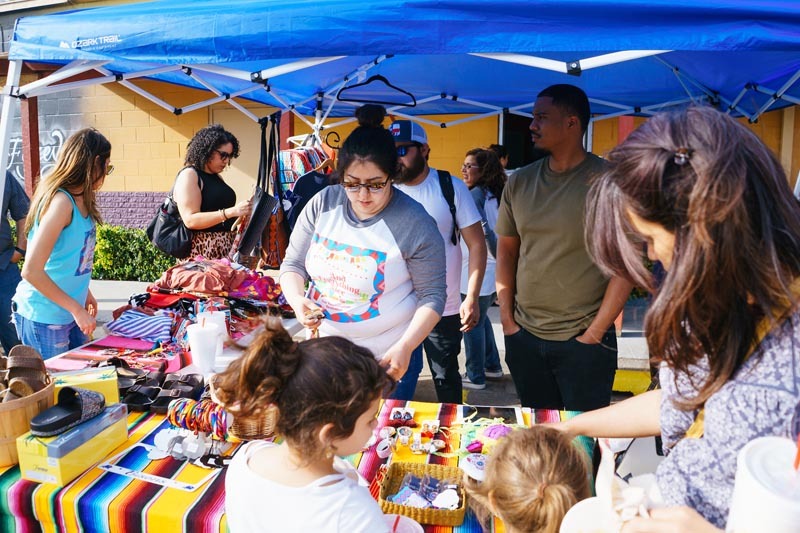 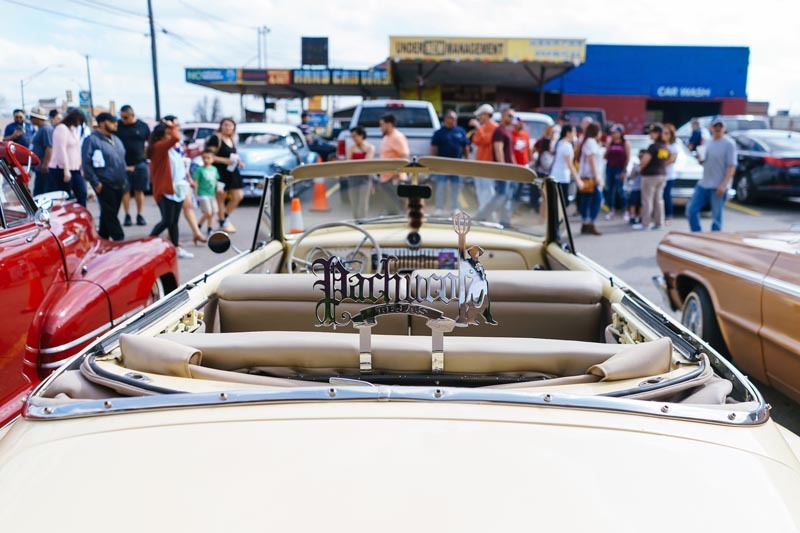 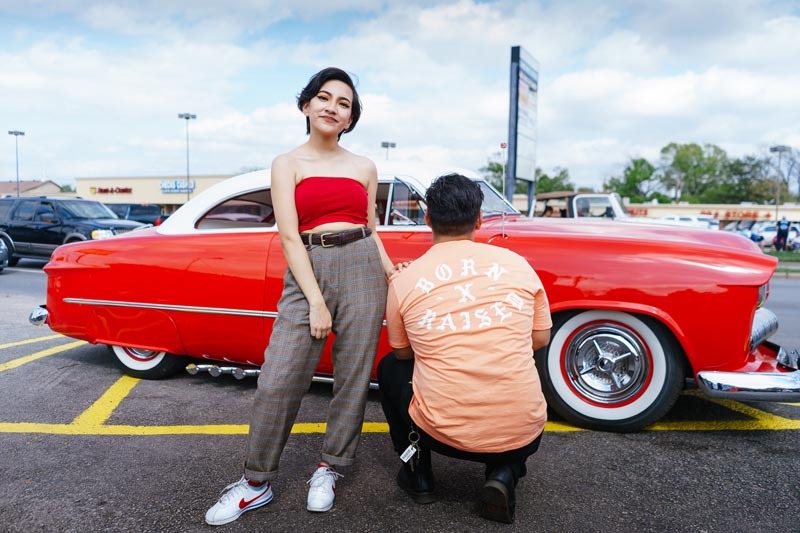 The centerpiece of these took place on Saturday afternoon at Oak Cliff’s Country Burger — a place well-known for its eternal love of all things Selena — where neighborhood residents gathered to eat, laugh and to celebrate the life and music of Selena. 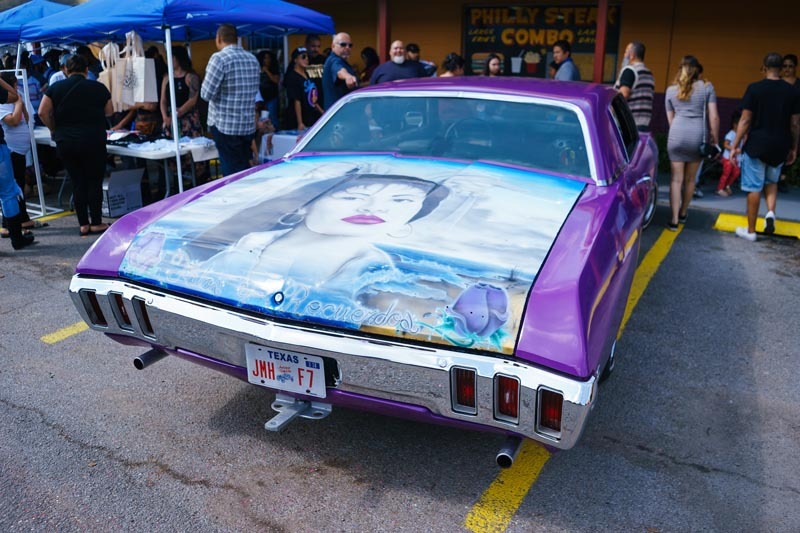 Some drove low-riders sporting custom Selena-inspired paint jobs and decals. 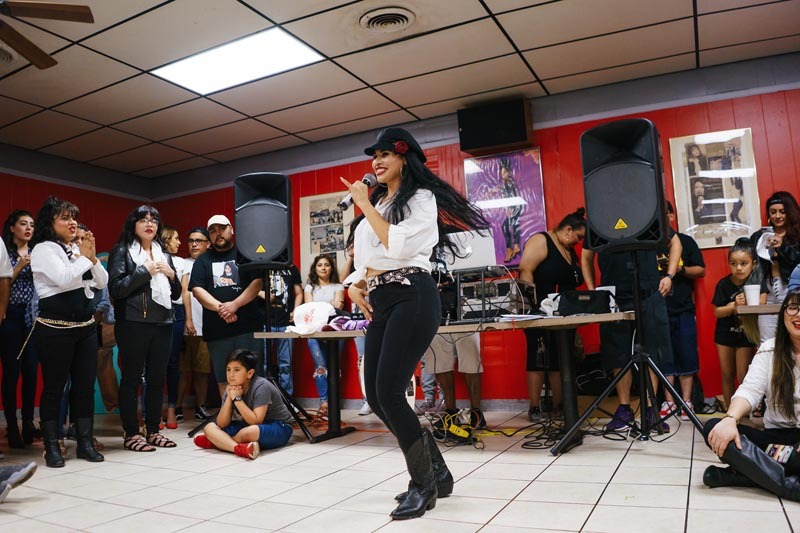 Others entered Selena look-a-like contest hopefuls, hoping to be recognized as the No. 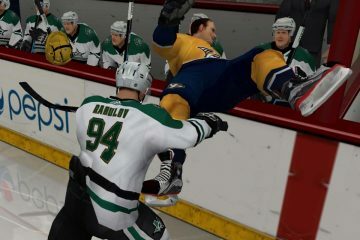 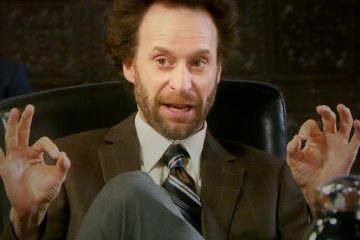 1 impersonator in at the event. 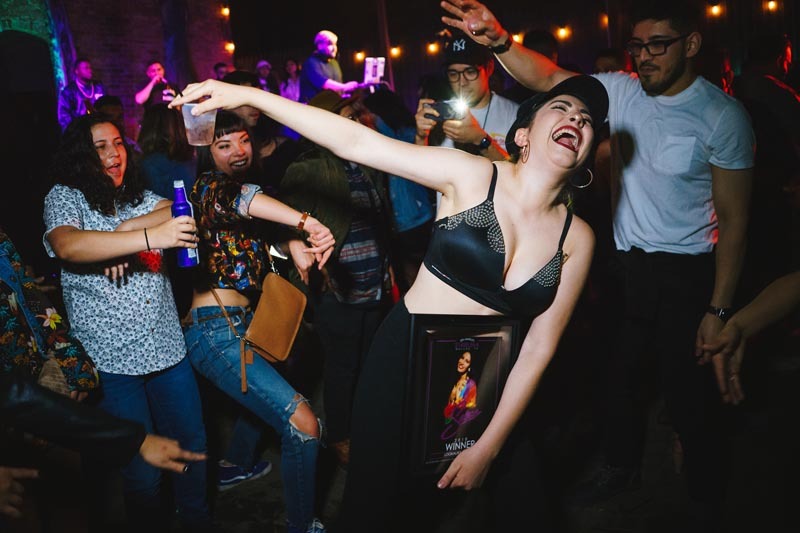 Pretty much universally, everyone in attendance danced and sang along to the music of the icon who left this world too soon. 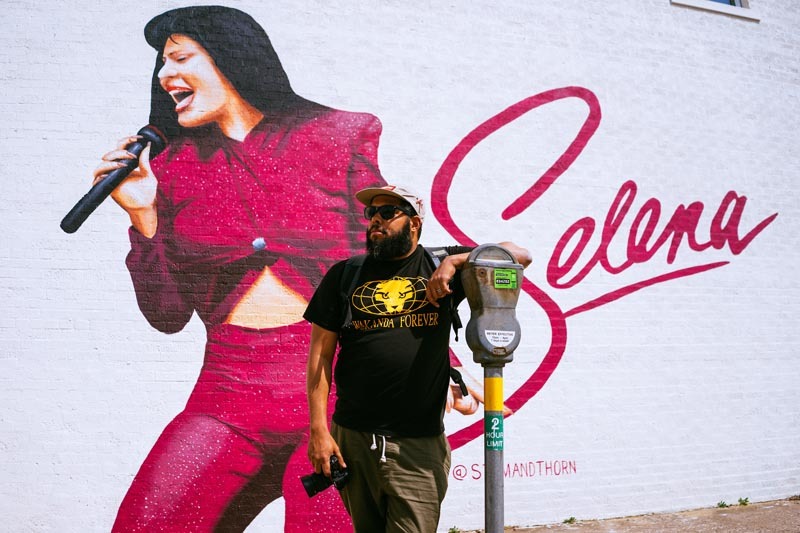 On Friday, the weekend kicked off with Top Ten Records opening up a Selena-themed art show and unveiling on the side of its building a new, Jeremy Biggers-painted mural of Selena wearing the iconic sparkling purple jumpsuit that she sported during her final concert on February 26, 1995. 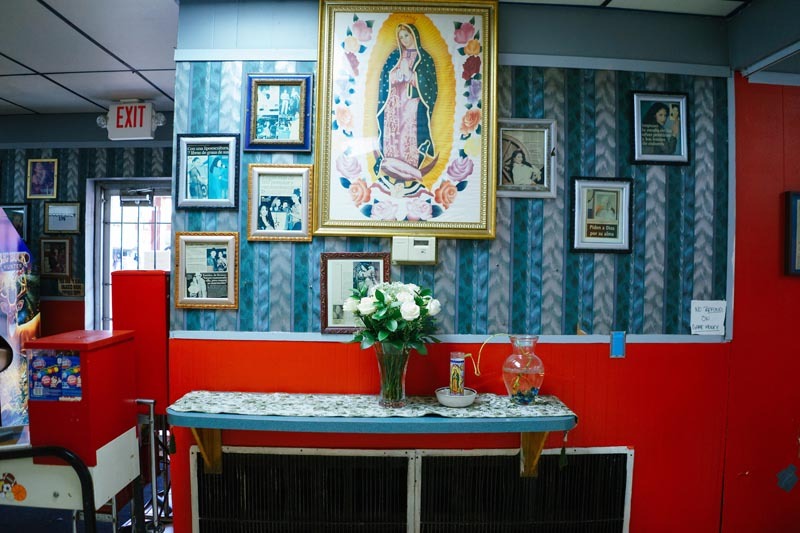 Per store employees, the art show, which includes an altar created by De Colores Collective in honor of the late performer, will remain up for at least two more weeks. 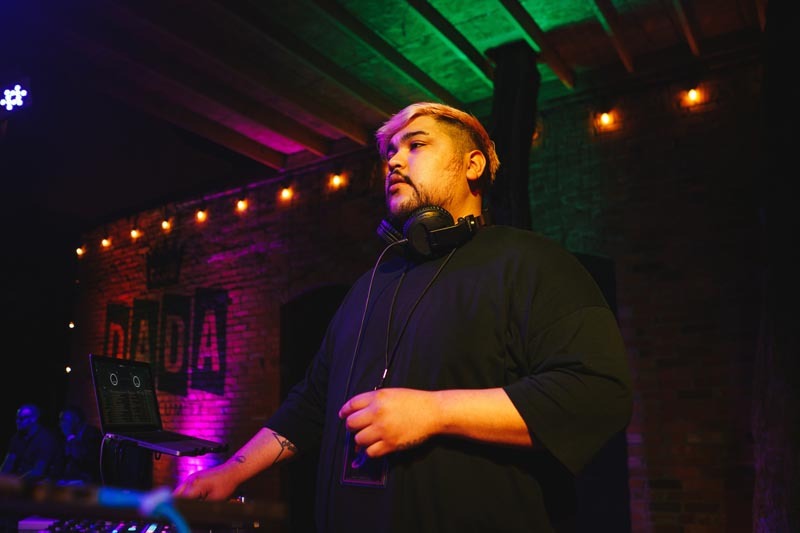 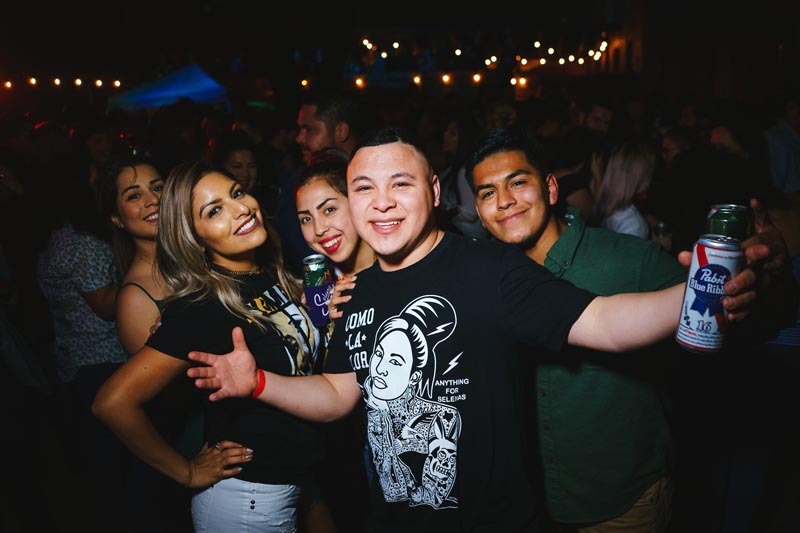 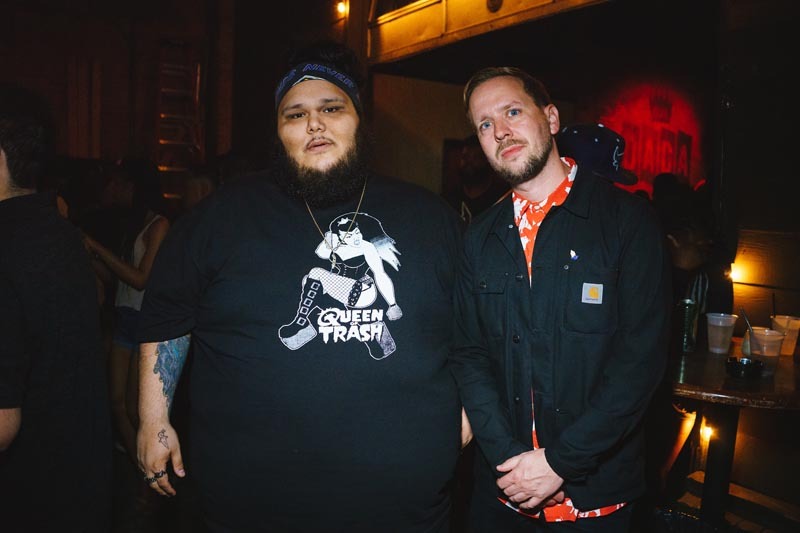 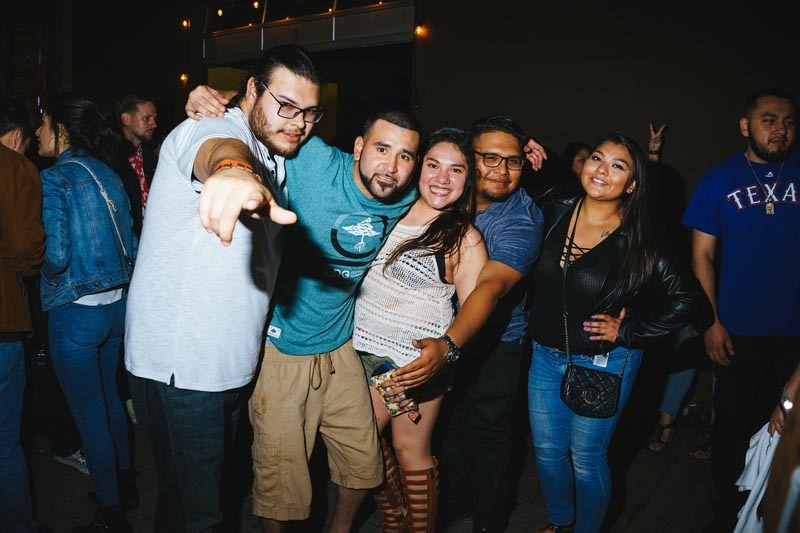 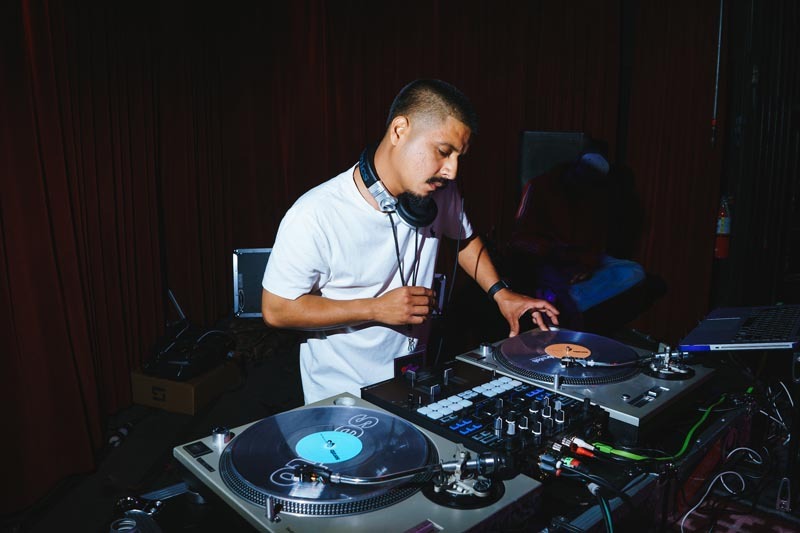 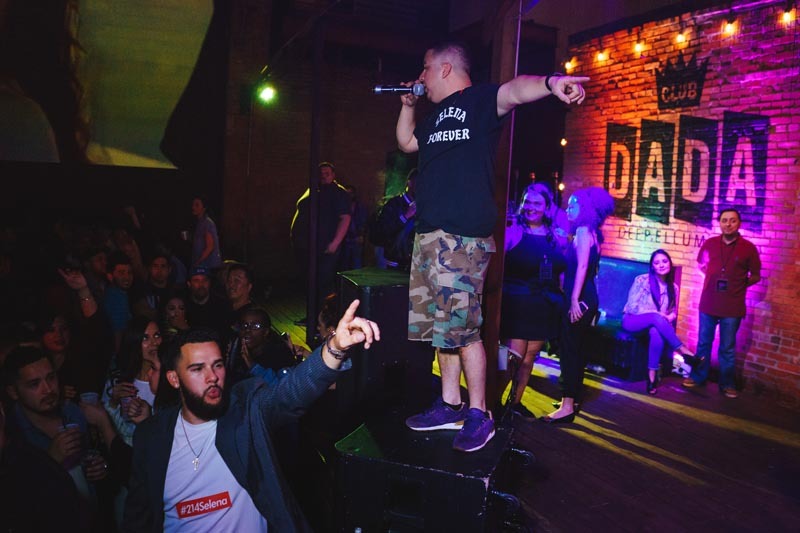 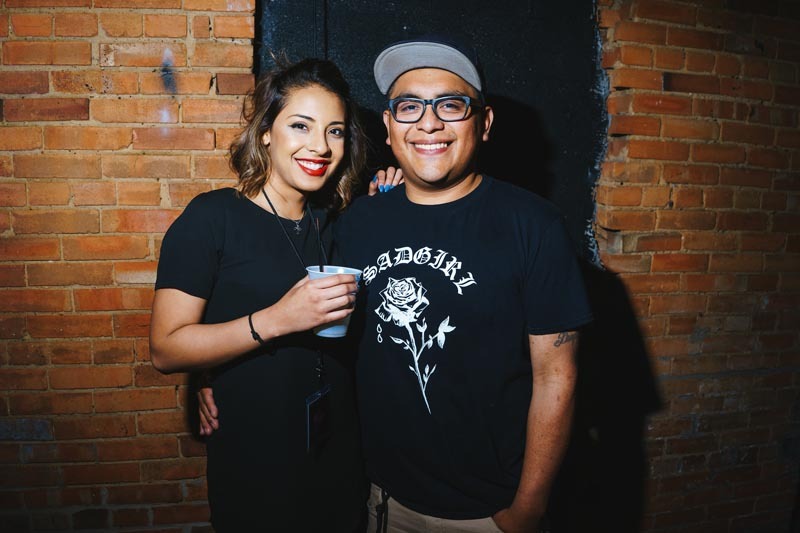 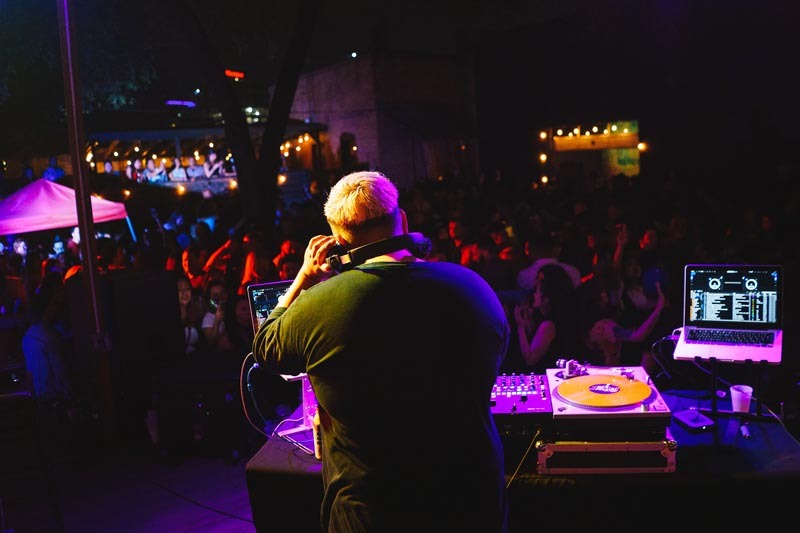 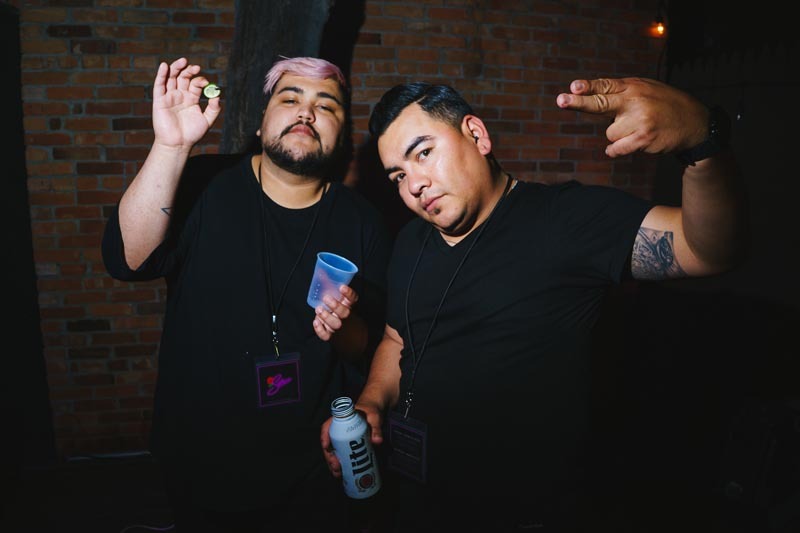 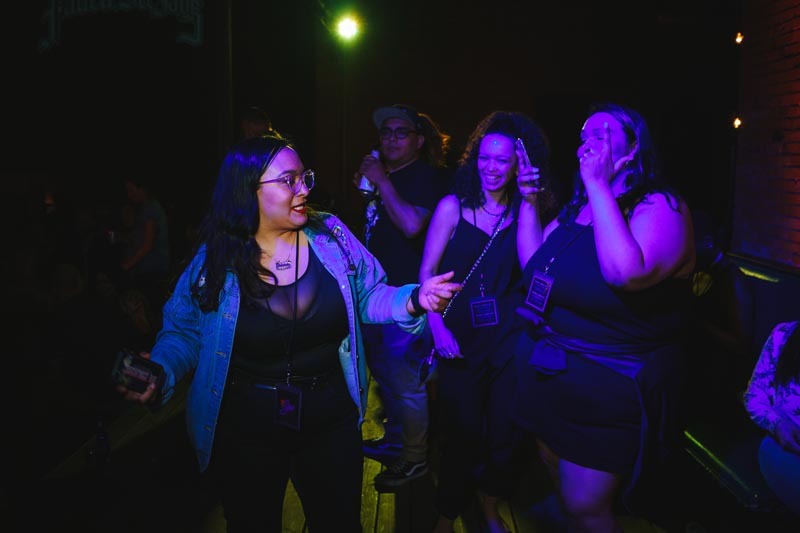 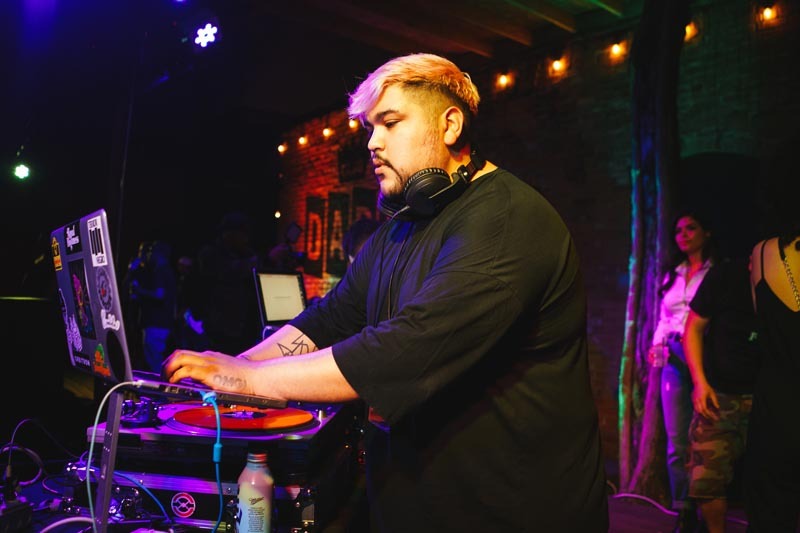 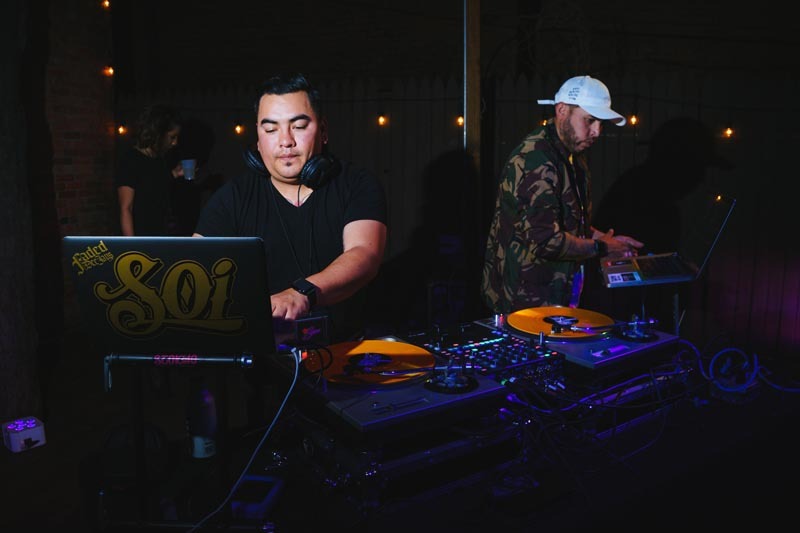 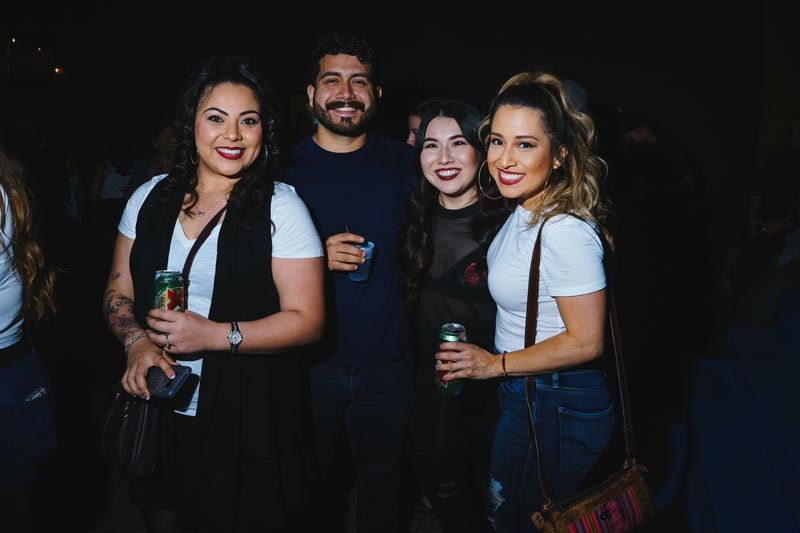 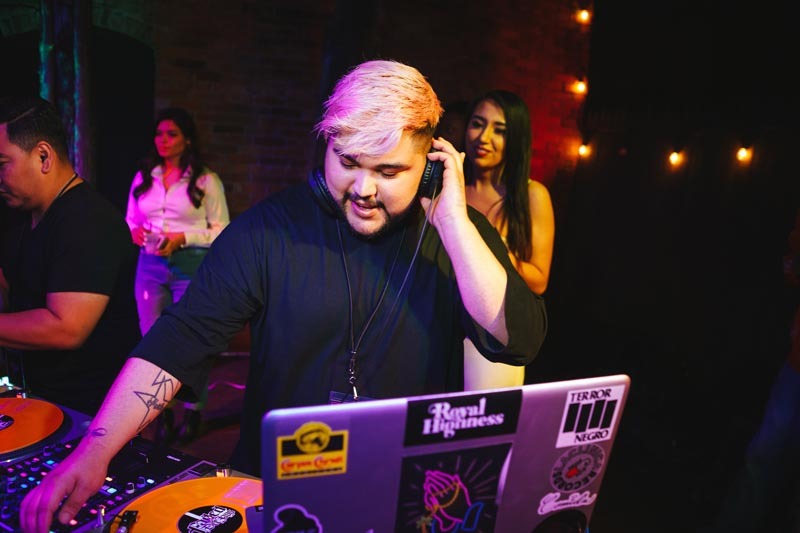 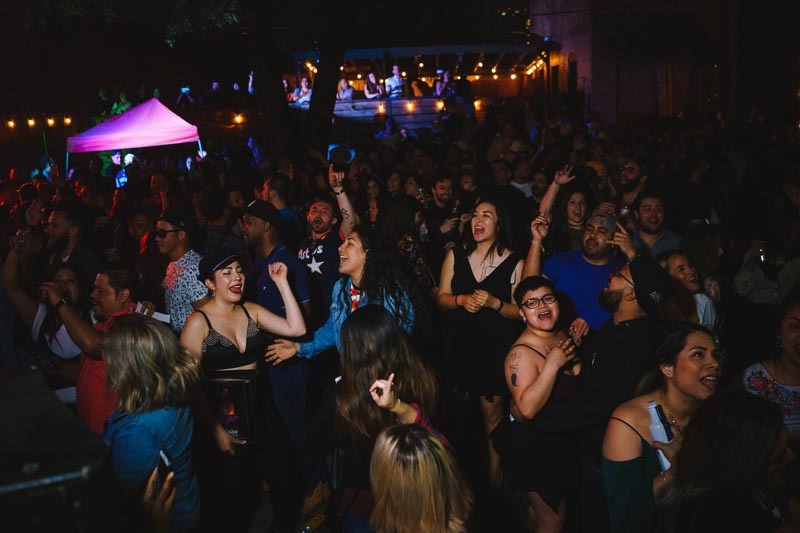 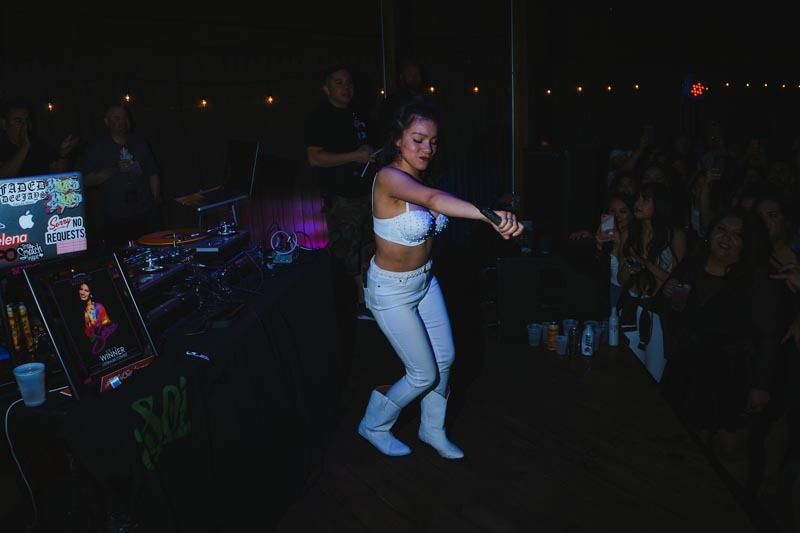 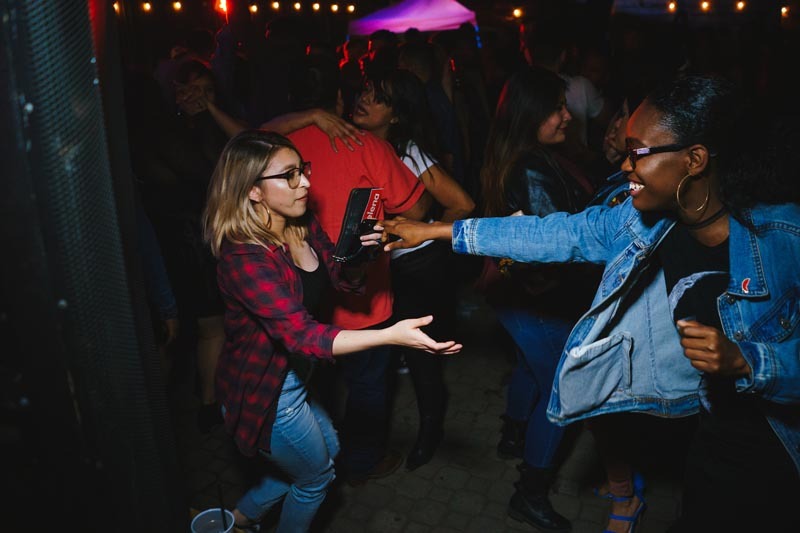 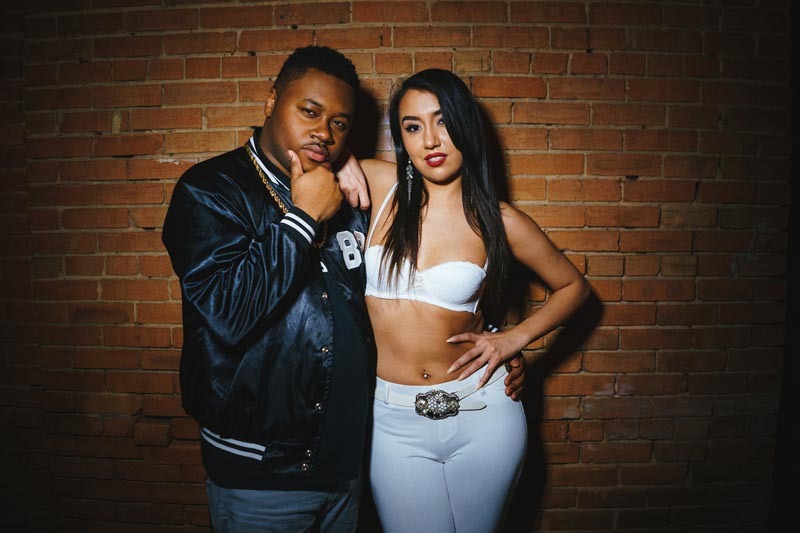 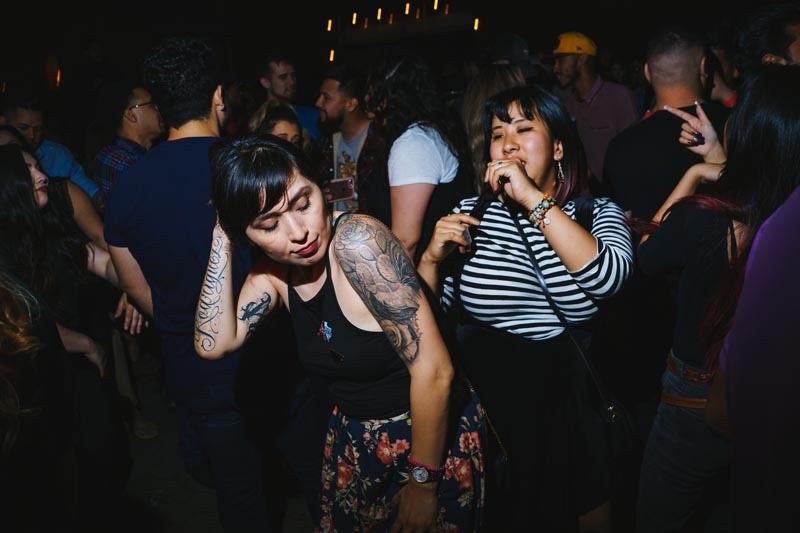 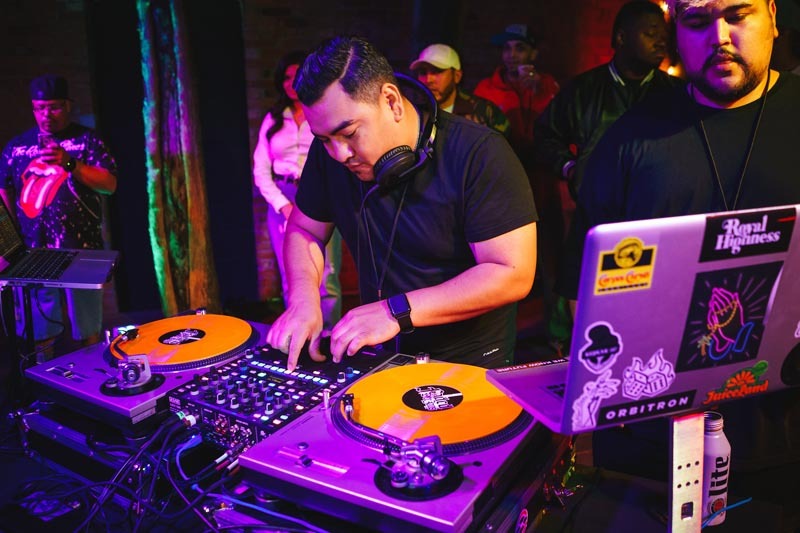 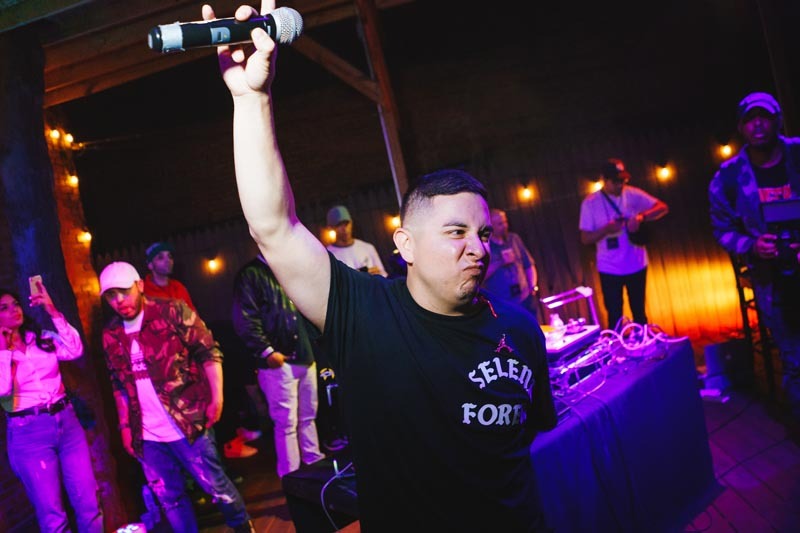 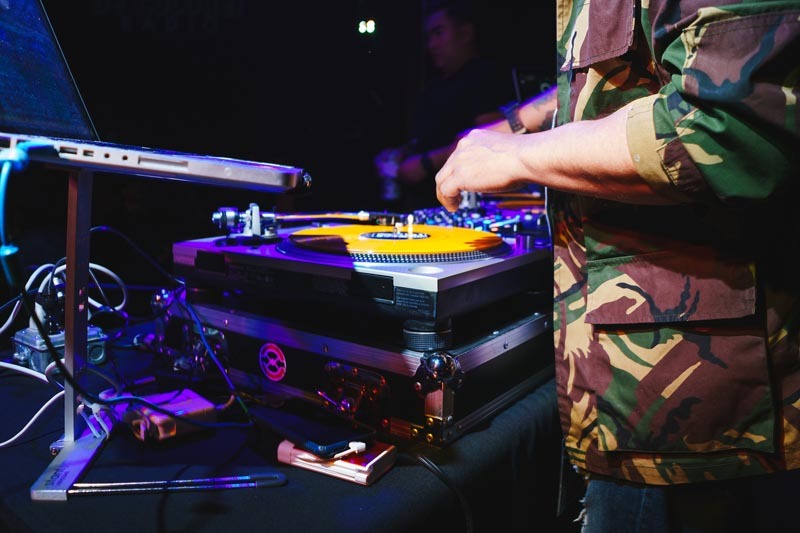 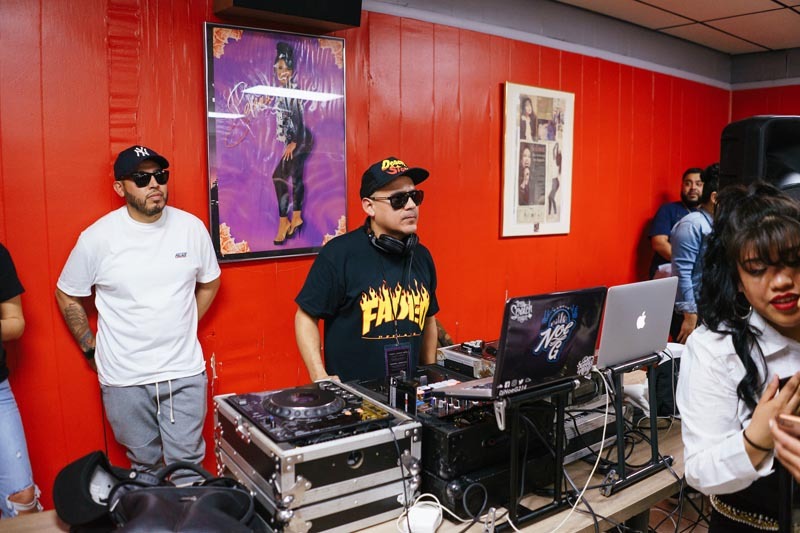 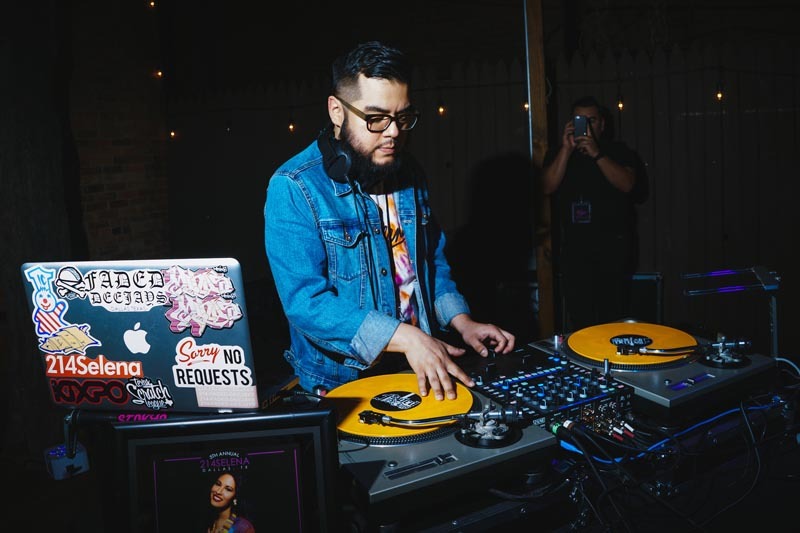 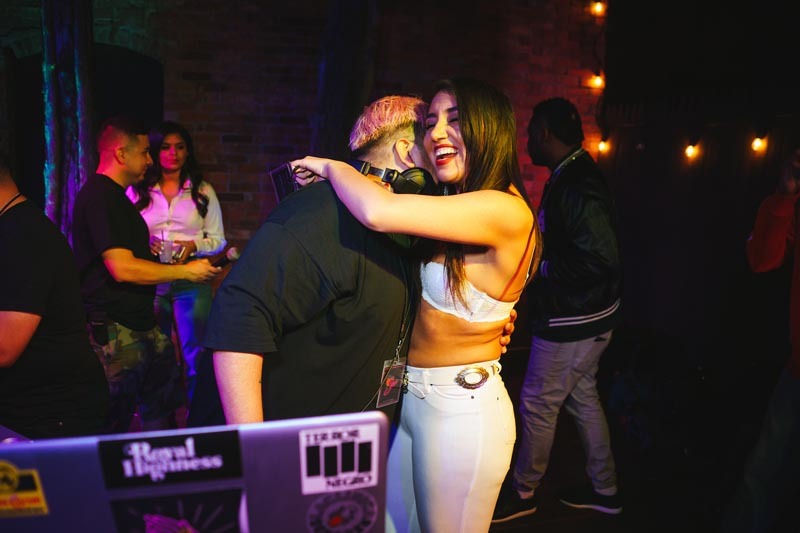 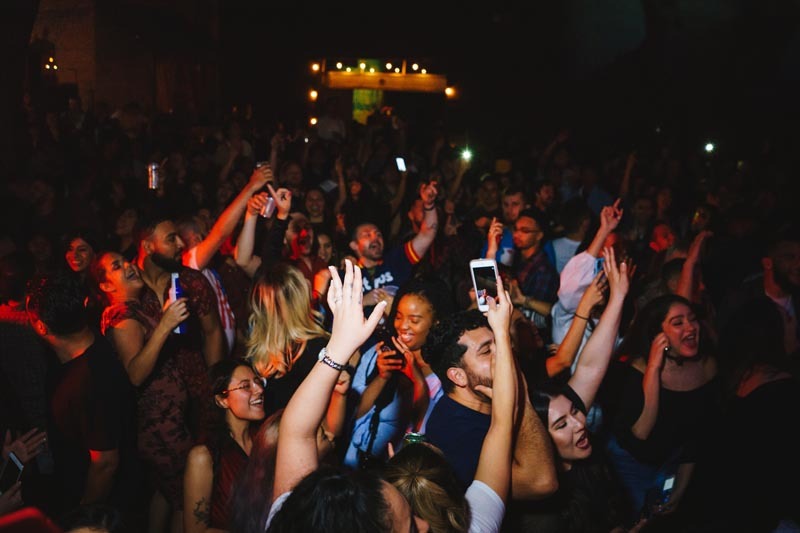 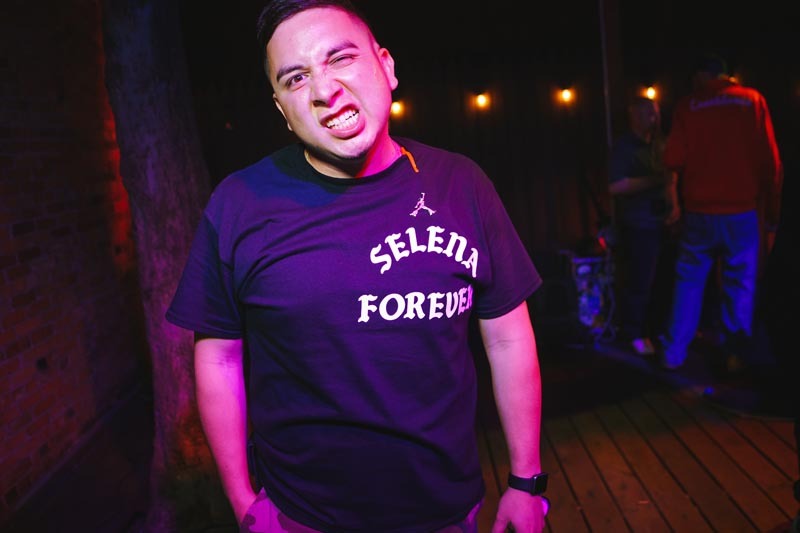 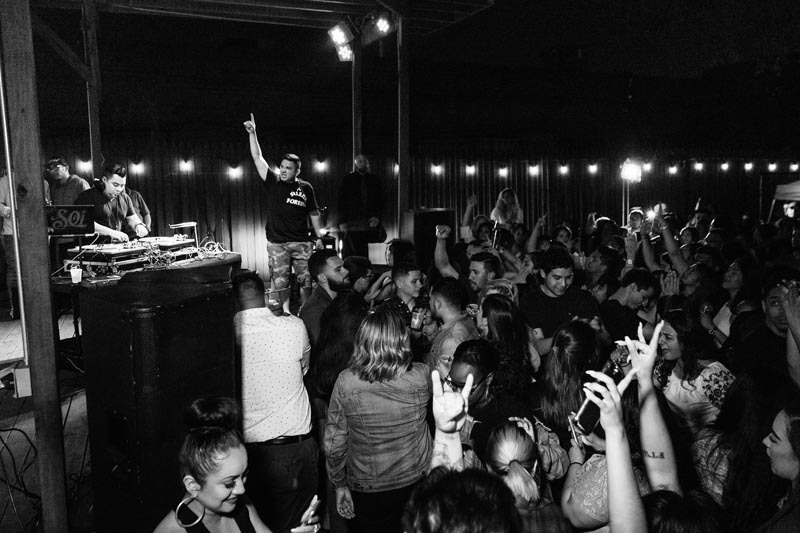 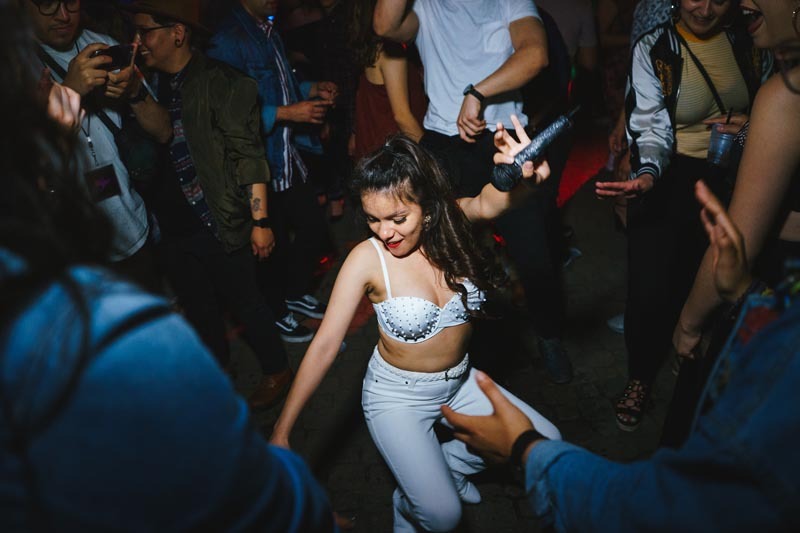 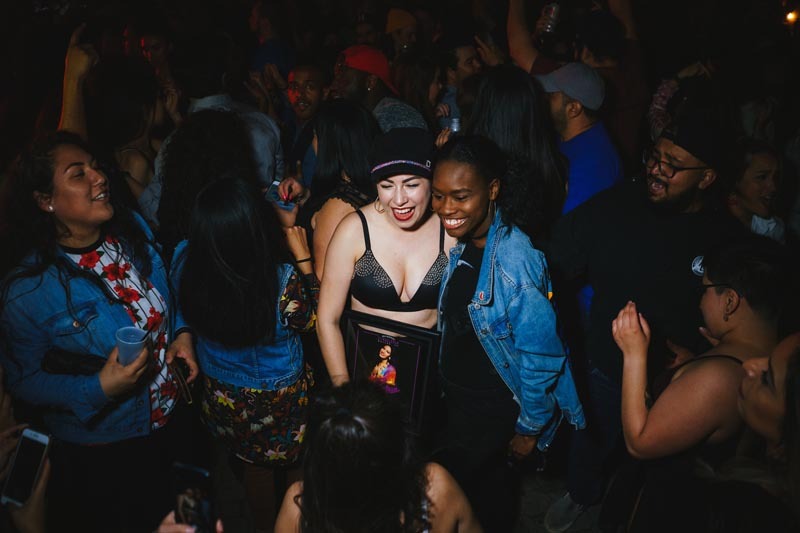 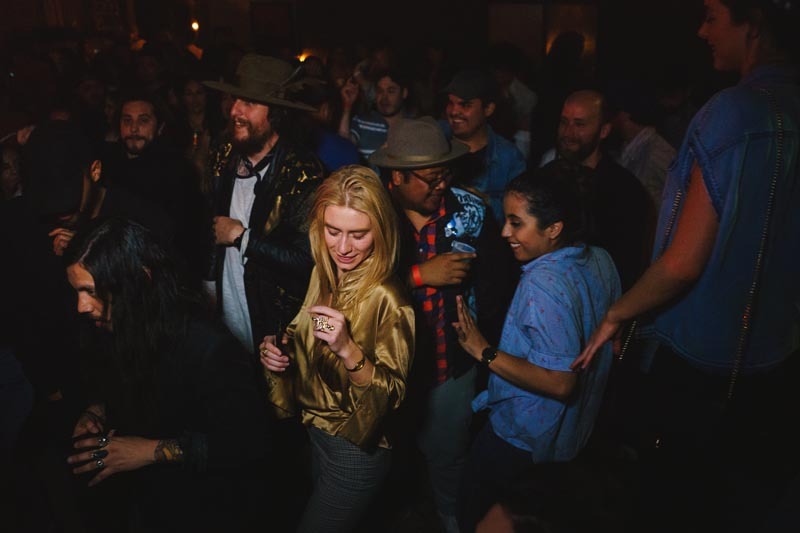 On Saturday night, the weekend’s festivities came to a close as Dallas’ Faded Deejays crew and Houston-based “Screwmbia” DJ Principe Q threw a bash at Club Dada where everybody showed up to get down beneath a soundtrack of Selena’s greatest hits and other Cumbia jams. 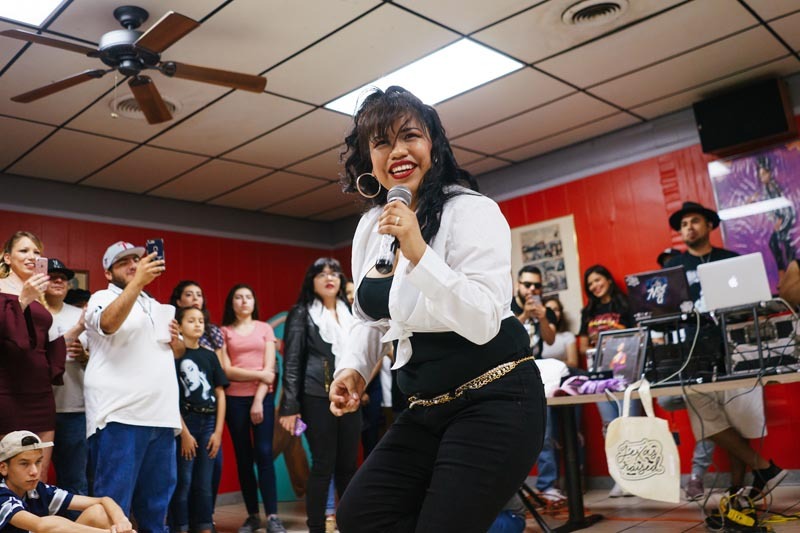 Photographer extraordinaire Karlo X. Ramos was at Country Burger and Dada with his camera on Saturday to capture the joyful faces of Dallasites who grew up on the inspirational Tejano queen and still miss her to this day. 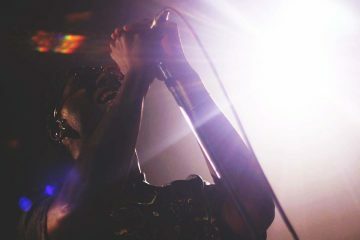 As the above slideshow of captures from Saturday show, it was a day to remember. 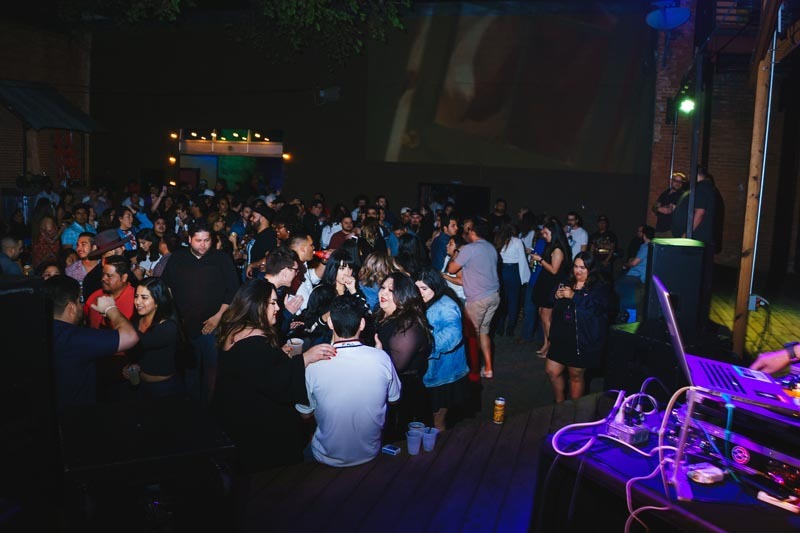 And as the below video he captured after last call proves, it was also one that no one was ready to see come to an end. 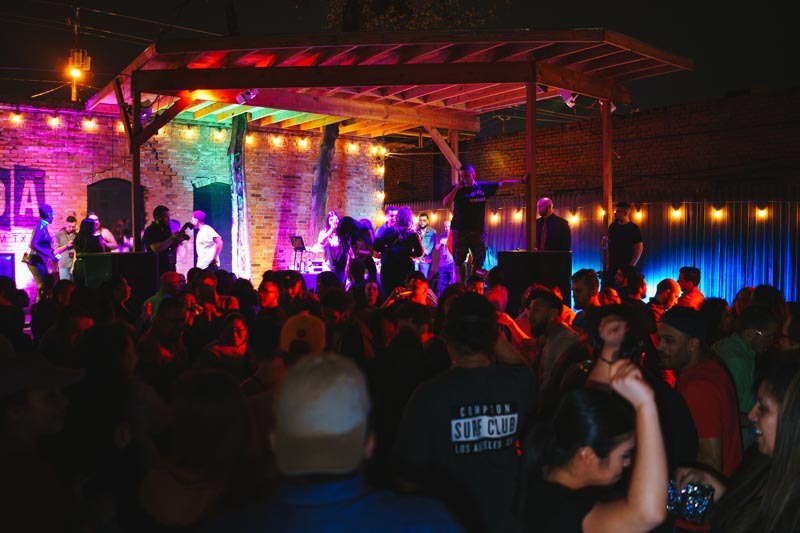 Previous ArticleDenton’s Rubber Gloves Rehearsal Studios’s Land Has Been Sold. 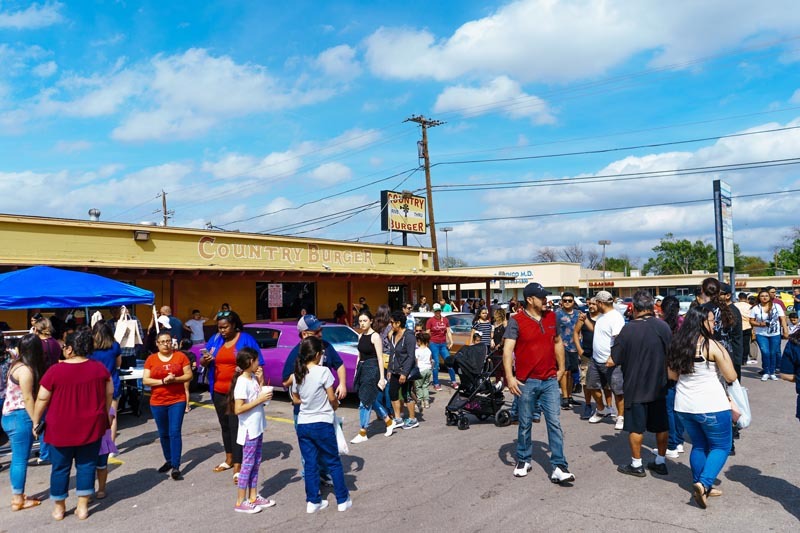 Next ArticleIs This New Dallas Creation The “Perfect” Brisket Taco?